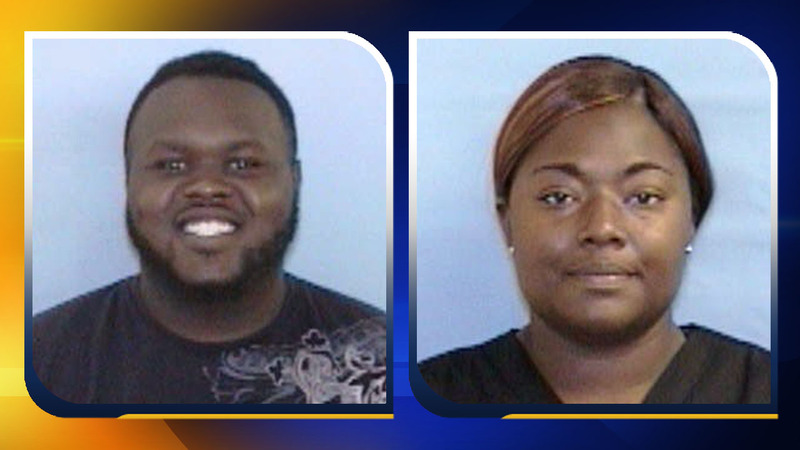 FAYETTEVILLE (WTVD) -- Cumberland County Sheriff's Detectives are looking for three suspects allegedly involved in a home invasion and robbery that happened Tuesday night. Deputies responded to a home on the 4200 block of Legion Road in Fayetteville after they received a report of a break-in. Officials said the victim allowed 24-year-old Lafayette Graham into her house to get something from her daughter. When the victim questioned Graham, he covered the victim's head with something and pointed a gun at her, deputies said. While Graham held the victim at gunpoint, two other suspects entered the home. One of the suspects has been identified by deputies as 23-year-old Grace McKeithan. The other suspect was described as a black female. After the suspects took items from the victim's home, all three suspects left in McKeithan's 1995 Nissan pickup truck. Warrants have been issued for both McKeithan and Graham for 2nd Degree Kidnapping, Robbery with a Dangerous Weapon and Conspiracy. Detectives are requesting the public's assistance in this matter. Anyone with information regarding the whereabouts of McKeithan and/or Graham or with any information regarding this incident is urged to call the Cumberland County Sheriff's Office at (910) 323-1500, the Cumberland County Sheriff's Office Major Crimes Investigative Unit at (910) 677-5448 or Fayetteville/Cumberland County Crimestoppers at (910) 483-8477.